Asthma is a lung disease that causes minor wheezing and mild to severe breathing difficulty due to blocked or narrowed airways. About twenty million Americans suffer from this chronic disease. Still more research is needed to fully understand how to prevent, treat, and cure asthma. 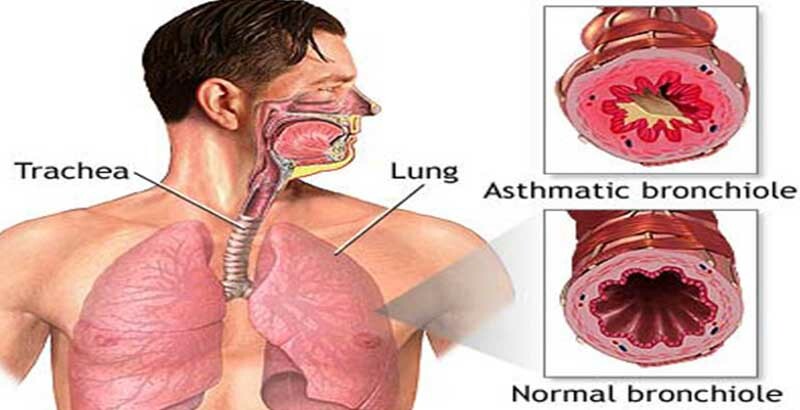 Many people suffering from asthma do not stop looking for other alternatives for remedy because of the reason that they do not want to depend on modern drugs. From old folks, they learned that there are herbal remedies and cures for certain types of diseases and health conditions. Science has used some traditionally known herbal remedies to create supplements for different types of illness. One of the most widely known herbal help for asthma include Chinese herb mixes, Tylophora indica (Indian ipecac), Boswellia serrata, and butterbur. Ivy Leaf is said to be an effective remedy given to children with asthma. According to a study, Ivy Leaf extracts taken by a number of children for three weeks resulted to an improved breathing. More and more herbal supplements for asthma are being offered and sold to treat asthma these days. They all promise remarkable improvement in the reduction of frequency and severity of asthma attacks. Herbal supplements contain herbs that are proven to relieve asthma such as chamomile, garlic, green tea, peppermint, rosemary, and many other traditionally known and used herbs. Herbal supplements have two or more herbs mixed together to help in the treatment of asthma. Depends on the severity of the condition, herbal supplements can reduce or even eliminate the use of synthetic drugs and inhalers. Most of the time, people who use herbal supplements experience significant relief with less or practically no side effects or complications that commonly accompany modern drugs. This is the same reason why asthma sufferers rather go with herbal supplements than medicines. However, people still need to be cautious in choosing and taking herbal supplements. There is still a need to check with your healthcare supplier before you take herbal remedies. You have to know that herbs may interact negatively with other medications that you are currently taking. In some cases, herbs may also be risky for certain health conditions. So it is best that you inform your doctor if you are to take herbal supplements. You have to take into account that herbal supplements are not overseen and evaluated by a federal regulatory agency to guarantee the quality and safety of an herbal supplement. And although said to be natural, they still act as drugs. If you are to buy herbal supplements, make sure that you buy them from reliable stores and establishments. Check for labels. Labels should be including the precautions, list of ingredients, manufacturer’s name and location address, manufacture and expiration date, dosage information and batch or lot number. It is important that you understand the label before purchasing. If you are prescribed to take a certain medication, do not replace it with herbal supplements. Adults should also be careful in giving young children herbal supplements. Pregnant or nursing women or anyone planning a pregnancy should also avoid using herbal supplements. These are just some of the precautions one should take into consideration when taking herbal supplements for asthma. Top services for LG washing machine repair in Jaipur and Samsung refrigerator repair in Jaipur click only here.